JPMorgan CEO tells employees he has throat cancer; Hobby Lobby works with Saxum to show softer side; FTC charges T-Mobile with profiting from scams; GM sales up in June; Twitter names CFO. JPMorgan CEO Jamie Dimon told staffers and the board of his bank late Tuesday that he has throat cancer but his prognosis for making a full recovery is good. The bank’s shares were down 0.7% in after-hours trading on the news. "I feel very good now and will let all of you know if my health situation changes," the JPMorgan chairman and CEO said in a memo to employees and shareholders. "Importantly, there is no evidence of cancer elsewhere in my body." He plans to begin treatment soon. JPMorgan comms chief Joe Evangelisti told The Wall Street Journal that the bank will not appoint an interim leader while Dimon undergoes treatment and individual department heads will continue in their roles. 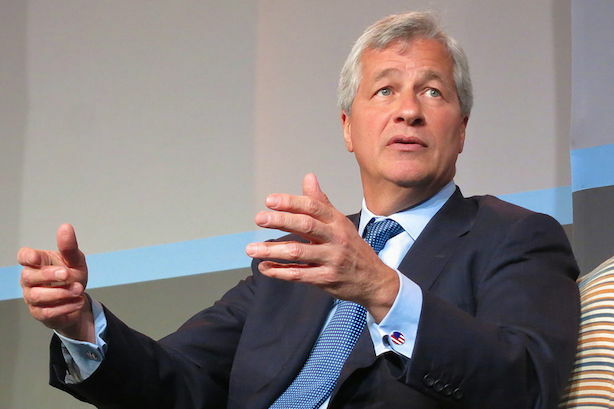 He added that Dimon disclosed his condition on Tuesday because he recently had to cancel a trip to Europe, during which he was scheduled to meet with numerous heads of state. Hobby Lobby is now best known in many parts of the country as the arts and crafts chain at the center of Monday’s Supreme Court ruling that gave some companies with religious objections a way out of paying for female employees’ birth control. The company is trying to show its softer side in a new campaign that prominently features its female employees, including its cofounder. Oklahoma City-based firm Saxum is supporting Hobby Lobby on the effort, according to the New York Daily News. The Federal Trade Commission charged T-Mobile on Tuesday afternoon with profiting from allowing scammers to place fake charges on the bills of customers. T-Mobile’s CEO has called the case "unfounded and without merit." One might think General Motors’ ever-growing list of recalls would be taking its toll on the company’s sales. It’s not. The automaker said Tuesday that its June sales were up 1% year-over-year. Nestle said early Wednesday that it is planning to sell its Juicy Juice brand to Brynwood Partners, a buyout firm, as it tries to reduce its product lines to more profitable brands. Twitter has hired Anthony Noto, a banker at Goldman Sachs, as CFO, shifting Mike Gupta to the role of SVP of strategic investments. The high-ranking personnel change comes as Twitter is trying to win over Wall Street amid slowing growth numbers.